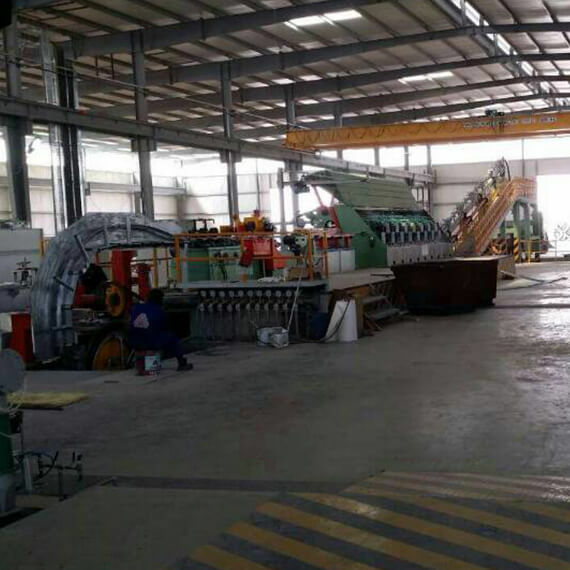 This equipment uses a new type of four wheel planetary continuous casting machine and continuous casting and rolling process to produce conducting round aluminum rod. 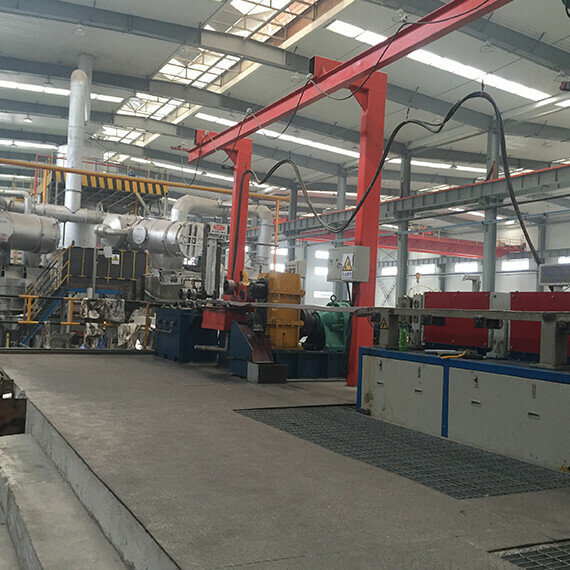 The production rod diameter is 15, 12, and 9.5 millimeter. 15 racks for 9.5mm aluminum rod, 13 racks for 12.5 mm aluminum rod, and 11 racks for 15 mm aluminum rod. 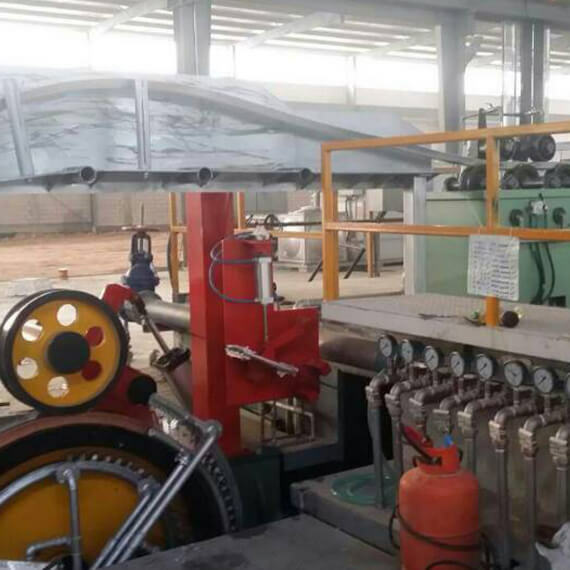 The continuous rolling mill has the function of active feeding and rod stopping, and the outlet of takeup guide pipe is equipped with a blow drying device to remove the surface moisture of the aluminum rod and ensure the smooth export of the aluminum rod. The circular guide tube adopts roller guide structure to reduce the scratch on the aluminum rod surface. 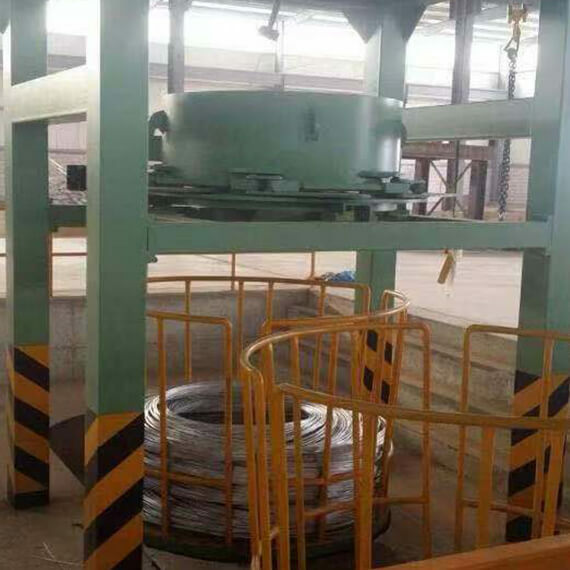 The winding rod is a centrifugal head type, so that the aluminum bar can be pre-deformed before entering the take-up frame. 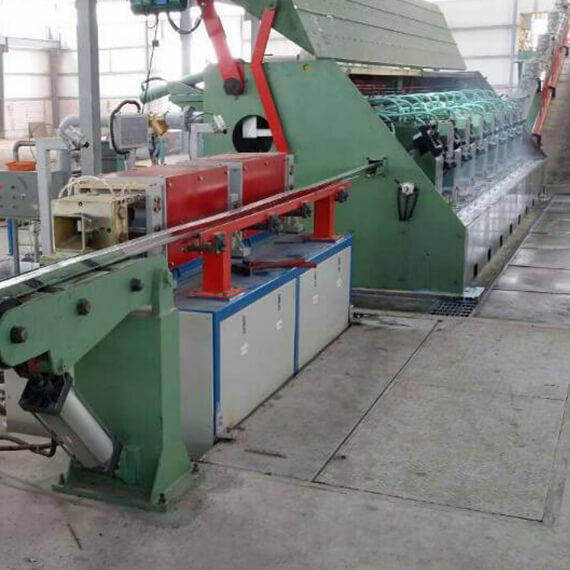 It has a trolley moving device, so that it does not change the rod when changing the bobbin, so as to ensure the continuous double bobbin winding device to take up.